MPT tunes available for most modifications available for your Ford. Some modifications may incur additional charges for MPT tuning, aftermarket forced induction and/or cams etc. If you're not sure if your mods will be covered by the included tunes, just call and ask. It's no lie that an SCT programmer works, it's been proven time and time again. 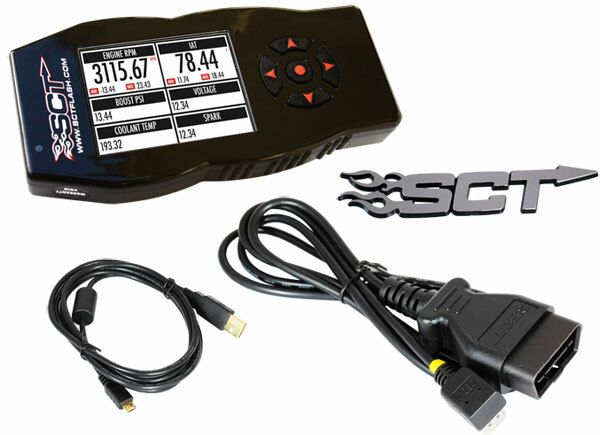 We've dyno tested the preloaded SCT tunes and are almost always happy with the increased power over stock. Sometimes though, it's not enough. Sometimes you want a more refined tune. That's where MPT comes in, we've spent 1000's of hours on our in-house dyno developing our MPT tunes. We've taken our own personal cars to the drag strip and raced it. We daily drive our cars in order to know the vehicle inside and out. This knowledge has helped us develop MPT tunes that are purpose built with results that will surprise you. What MPT tunes are available for the 2015-2017 Mustang 3.7L V6? PR-X, also known as Performance Race Xtreme, is our top-performance tune for the 2015-19 Mustang with a dyno proven gain of 35 HP and 34 ft-lbs of Torque on the 3.7L. Due to the impressive power gains and performance mannered driving, this is by far the preferred tune for the 15-19 Mustang. The Mustang feels so much lighter with the increased throttle response and part throttle power. Wide open throttle power is noticeably increased as well and can be as much as 40 HP depending on the rpm. The stock calibration has several dead spots where the car just doesn't feel sporty. This feeling is resolved with the MPT tune. With this tune you are looking at huge increases in low end torque and acceleration, faster 0-60 times, quicker 1/4 mile results and shift points optimized with a focus on performance. The shift points will still be fuel efficient at very low throttle positions but will happen at a higher rpm/mph when throttle position is increased. The shifts will also be firmer and more crisp than stock. Sport mode has a noticeable increase in throttle response above that of the already increased base shift mode. We also modified sport mode to make the minimum rpm to shift lower. This lets you drive in sport mode more comfortably and click back into regular drive when you want to be more economy minded. This tune applies to both Auto and Manual transmissions. What MPT tunes are available for the 2015 Mustang 3.7L V6? Want to see a cool MPT video about the 2015 3.7L V6 Mustang? Optional Bundle of MPT Tunes created specifically for your Mustang by our SCT Certified MPT In-House Tuners. 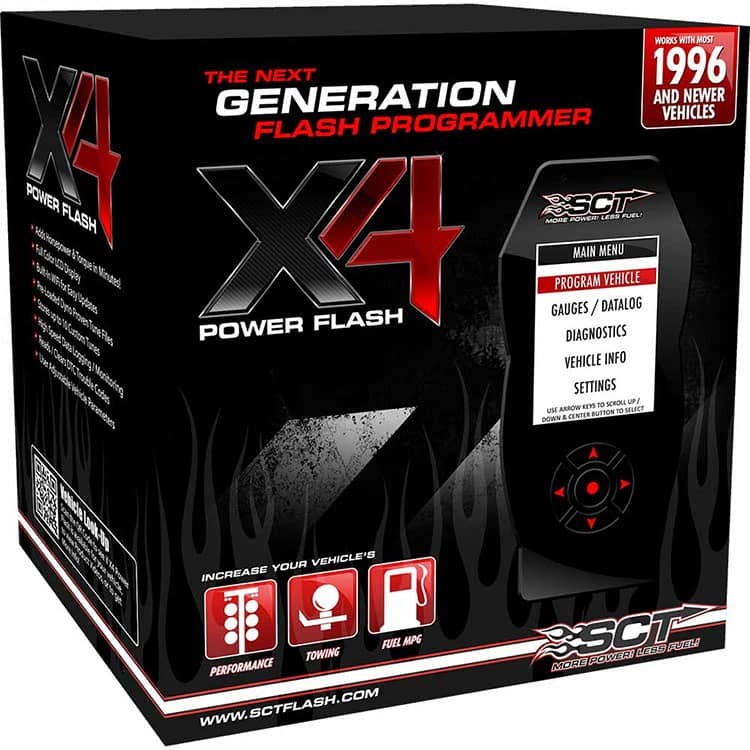 Because the X4 utilizes the newest flash technology it is THE BEST choice for re-programming your vehicle. This SCT Tuner will first store an exact copy of the vehicle's stock file (needed for warranty repairs) then completely re-program the vehicle's computer. This re-program can include Faster 0-60 times, Better Throttle Response, Improved Shifting, Smoother Idle, More Power for Towing, Better Fuel Economy, Removed Speed Limiters, Raised Rev Limiters, Clearing of Check Engine Lights, Ability to Run Different Octanes as well as modifying for the use of Specialized Fuel Types, Reprogramming for Cams, Turbos, Super Chargers, Gear Changes, Long Tube Headers, ...the list goes on. With the X4 you can do anything and everything needed to make your vehicle run at its absolute best. When you combine SCT's Flash Technology with MPT's Expert Tunes the possibilities are endless! The X4 has the ability to hold 10 MPT tune files in addition to the pre-loaded files. MPT lets you take advantage of this feature by offering 3 or more MPT tunes created by our expert level SCT certified MPT tuners. 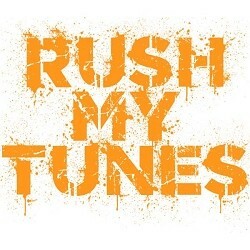 These tunes are set up specifically for your vehicle and the modifications you have. Simply fill out the MPT Tune Form after purchasing your programmer and your personalized MPT tunes will be ready to go. Purchased three tunes to use on my X4, but haven't used anything but the 93 octane race tune. I daily drive it without a single stutter all the time. Looking at the data logging with spark and AFR they seem to be dead on, but my perception of how the car reacts to throttle inputs over the stock map is that it pulls extremely hard now. Would only recommend MPT tunes on the X4 which is very straight forward to use. Great product, I was shocked by the power Mpt added to my 2015 V6 Mustang. 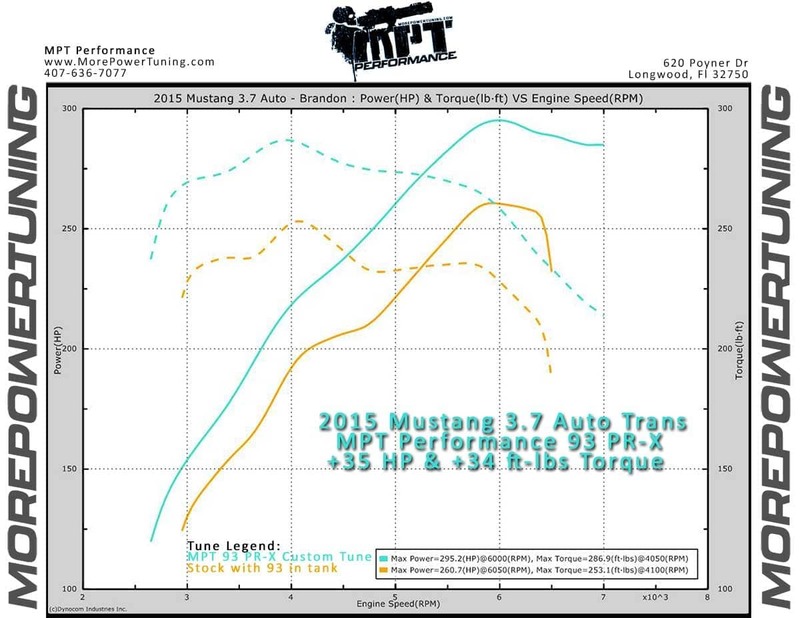 If you are looking for the high test capability of your 3.7 and 5.0 mustangs. Don’t think twice, go for it. This tuner and the MPT Tunes were a great purchase for my 3.7 Mustang. The car felt like it had a newer, bigger engine just by installing the tunes. I bought the 91 PR-X Tune and I could tell a difference from the start. After my data logging, I received my second tune, again a noticeable difference. I am totally pleased with my tune their tech support works with you and helps you through the process. I am truly pleased with MPT and can tell you that if you want a budget performance this is the way to go. Best bang for the buck. If you are reading this you are already waisting time. Order the tuner with the MPT tunes now. You will not regret it. Enough said. I did a bunch of mods to my 2016 v6 mustang and the car felt a little doggie and didn't have the pick up and go I wanted. Upon getting the tuner I followed the instructions but I had issues getting the tuner to update. Contacted MPT and they diretrd me to SCT. They walked me thru the process and had things up and running in a short time. The car is amazing and fun to drive now. Definitely worth the money and investment if you want your car to come to life. Great product. If you're looking for noticeable power gains then I would highly recommend buying the custom MPT tunes as they are 100% better than the SCT tunes. Got my tunes in under two days and the customer service was fast and professional. Overall very happy with this purchase. Tune made a huge difference in overall driving experience. Dont have dyno figures but the car feels more responsive, quicker of the mark, and like i said above drives better overall. Paired the tune with an K&N CAI and car feels even better. Special thanks to morepowertuning.com for being helpful with all my questions and delivering the purchases on time. Great job guys. This is a MUST have for 2015-2017 v6 mustang. Really wakes up the car even running just the PR-X 89-87 tune. The increased throttle response and changes to the AT shift points definitively make the car more responsive. Which in turn makes the car much more enjoyable to drive. Wish i would have tuned sooner!!! Waiting for summer to load PR-X 91! This is a no brainer for the 3.7L mustang. If you're even considering it, DO IT. Noticeable power increase and throttle response instantly. Do it, do it, do it. MPT all the way. I'm completely happy with everything about these tunes and tuner, I was a little hehe sit an at first because it's a lot of money and we all work hard and etc for everything we have but I can say it's worth every penny. It really wakes the car up, i had long tubes installed and needed a tune anyway and all i can say is MPT any day! I purchased the mpt bundle kit. I run the 93 prx tune and it really awakens the car. The shifts and take off power is always there. I would recommend this tune to anyone. Great tuning device, the 93 PRX tune for my Cyclone Mustang really woke the car up tremendously, will definitely stick with MPT for my future tuning needs! Great tune package for my 2015 Roush RS 3.7L Auto. Installed the 87-89 PR-X Tune. What a difference in performance. Power and Shifting has been greatly improved. Cannot wait till the weather gets warmer to install the 93 PR-X Tune. Thanks again MPT for all your help!!!!! This tune really wakes the car up and makes it pull much harder now highly recommend it. Great response time in every way. Shipping, questions. Awesome product. Very pleased with increased performance of my vehicle. I highly recommend this product. Best tune out there for the 3.7 motor. I do have 93 and 91 prx in my tuner but we mostly o ly have 91 octane in our area. Awesome costumer support too. Had one issue when I was trying to install it to my car. Emalied MPT costumer support and had an answer/solution right away in less than 24hrs. All i can say is if you have been on the fence about getting this, you need to just hop on off and get the tune already. What a huge difference all across the board. 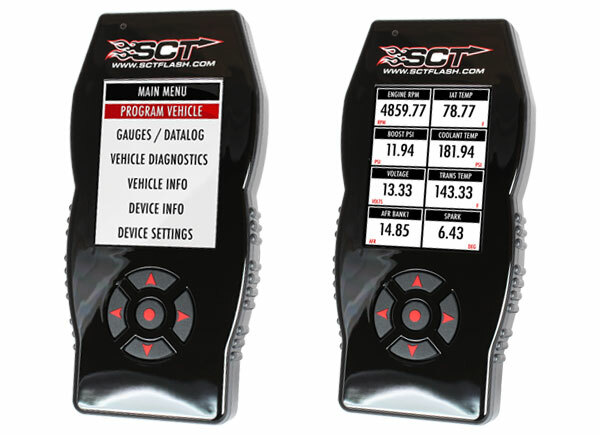 A: For $399.95, you get the programmer and the SCT pre-loaded tunes. If you would like MPT custom tunes, it is extra and the dropdown displays the costs for the amount of tunes you want bundled with the programmer. Q: If i just get the first bundle of tunes on the first option will i be able to get the 36hp or 34tq like it shows on the dyno pull? A: If you select three MPT custom tunes, you will get your choice of three tunes. You may select the 93 PR-X tune, which is the one you are speaking of. Q: Is the HP and torque gained with an aftermarket CAI and throttle body spacer or just the tune alone? If it is with a CAI and other mods, what's the combination that you recommend for the best results? A: Should see a similar gain on a stock vehicle, as these modifications do not benefit from additional changes to the programming. Your before and after figures might be a little lower on a stock car, but the difference should be similar. Q: I have a k,n air filter and rush axle back exhaust will your $399.00. Tune cover these or will I have to buy extra tune for this its s 16 v6 mustang? A: $399.95 is for the programmer with just the SCT pre-loaded tunes. None of our MPT tunes are included for that price. If you would like 3 of our MPT tunes with the programmer, it will be $449.95. Q: I have a 2016 v6 ford Mustang with a bbk cool air intake would this tune work for my car? And would i still get the same gains? A: We can tune for a wide range of modifications, including this intake. Your power gains should be fairly similar. Q: I've seen some 2034/2014 mustang v6's have your ghost cam tune, do you guys offer that for the 2015? A: We do not offer a Ghost Cam for the 2015+ models. Q: I drive a mustang v6 2015 Manual gear and I live in Dubai (outside US), 2 questions: 1- Will the tuner work on my car even if it's sold outside of the US? 2- What's the advantage that I will get from the tuner on my Manual gear mustang since I already have control on the shifts? Q: If I buy one of these from someone with the custom tunes that has been used but not no more so it was unmarried. Will the tunes still for me? A: The custom tunes are built specifically to a particular vehicle's ECU Strategy code and modifications. Q: Can I pay with two different payment methods? A: Sorry, cannot combine multiple payment methods on a single order. Q: How many tunes come with the bundle ?? A: On the product page, under "Options to Consider", there is a drop down where you can select how many MPT custom tunes you would like bundled with the programmer. If you chose none, the programmer still comes with pre-loaded ones from SCT. 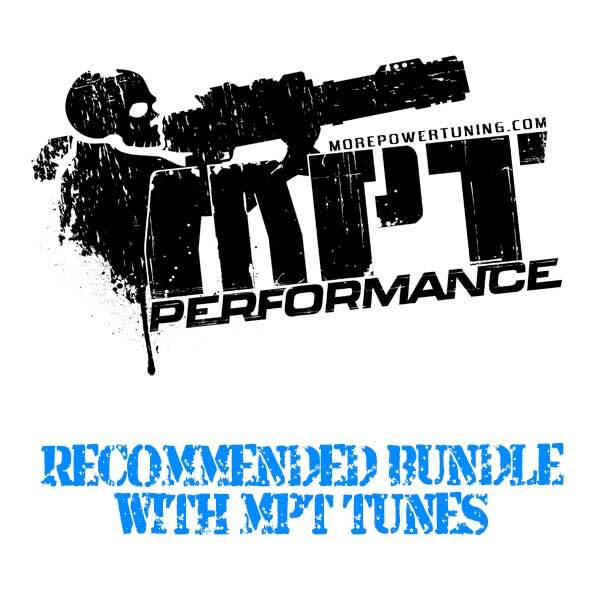 Optional Bundle of MPT Tunes created specifically for your Ford by our SCT Certified MPT In-House Tuners. Preference based Tune Update Window: The tuning process starts when MPT has sent the first file. We put an extreme amount of time and effort into creating each and every MPTtune. Our MPT tunes include 60 days of preference based updates. After 60 days preference based tune updates may require a tune update fee.